Mumbai, India: EVAM a classical dance festival in the past three years has become one of the most awaited events in Mumbai’s cultural calendar. The event is being held on February 24th- 25th 2018 at St. Andrews Bandra on 23rd) & Ravidnra Natya Mandir on 24th & 25th Feb 7 pm onwards, Mumbai. This year EVAM has a great line-up of artists. For the first time we have an international dance company , the Prakriti dance company from US will be performing at EVAM they will present their successful production Shikhandi. Also, for the first time a contemporary dance company is part of the festival, Ashley Lobo’s Navdhara India Dance theatre one of the finest in the country present their latest work Amaara. EVAM will also showcase ace soloists Sanjuktha Wagh and Meenakshi Srinivasan from Chennai. 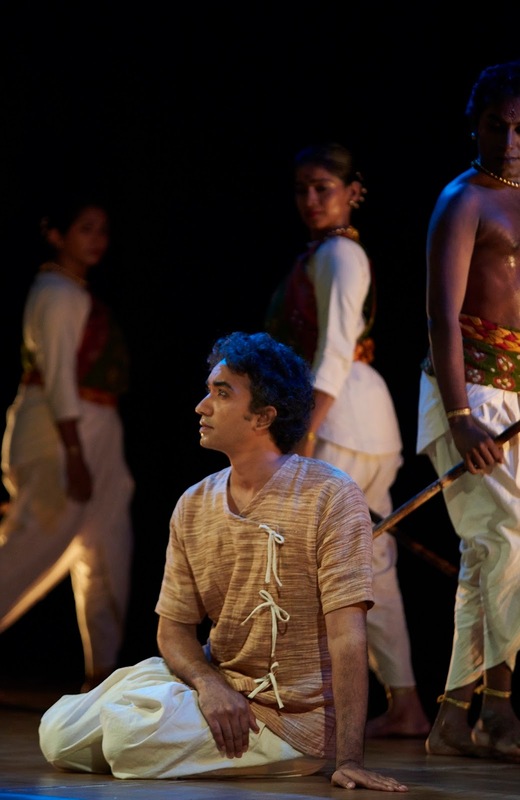 Satyajith Dhanajayan’s latest choreographic work ‘Gandhi’ & Parshwantah Upadhye’s Punyah Dance Company will present Sat-gati, the sacred path with live musicians. The festival has a set of unique workshops to benefit dance students. A body conditioning and fitness workshop by Amith Kumar from DanceWorx, Bharthanatyam workshop by Parshwanath Upadhye and back by popular demand, Rama Vaidyanthan will take a workshop this year as well. 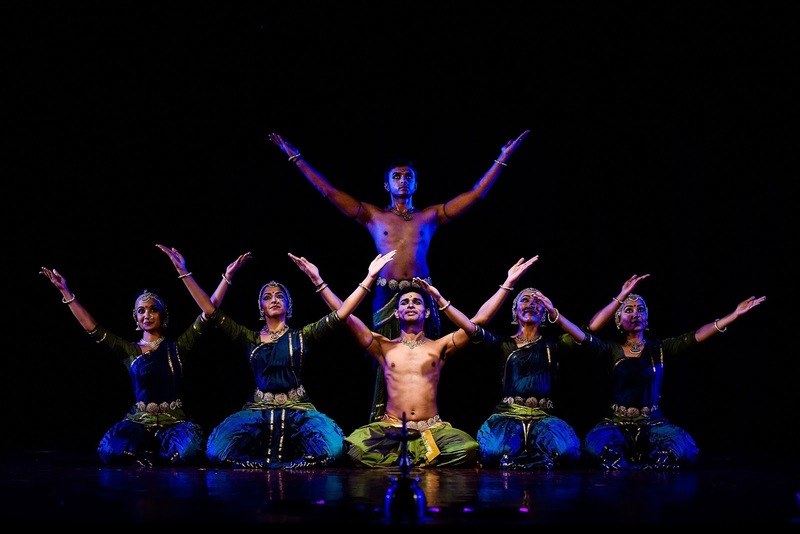 EVAM is India’s first crowd-funded classical Dance Festival. The festival not only garnered funds from many people across the globe but it was also one of the most successful crowds funded campaigns. Over the years EVAM has brought in the best names in classical dance like Rama Vaidyanatha, Vaibhav Arekar, Neena Prasad, Rani Khannum & several other youngsters. Meenakshi Srinivasan is one of India’s most sought-after soloists. Her individual approach, technique and creativity are characterized by a distinctive sensuous geometry. She is a dancer who embodies both sensitive and playful qualities through a dynamic presence on stage. Founded by co-artistic directors Kasi Aysola and Madhvi Venkatesh, Prakriti Dance takes the ancient movement vocabulary of yesteryears and interprets modern day themes bringing relevance and context to the ever-evolving Indian art. Drawing inspirations from nature, philosophy, poetry, and other genres of art, Prakriti weaves a multi-layered tapestry to transcend cultural boundaries and communicate the human experience. They will present one of their well-received productions Shikhandi A journey of courage. Inspired by the Mahabharata epic, Amba Shikandi narrates the story of Amba, who goes to any lengths to find her justice. A versatile Indian classical dancer, ‘Natya Mayura’ awardee, Parshwanath has carved out a niche for himself today as one of the most sought-after male dancers in the country. He founded Punyah Dance Company which is one of India’s most exciting young dance company. They present Sat-gati the sacred path. A production with live musical ensemble tracing the journey of one’s spiritual evolution. Ashley Lobo’s contemporary dance company Navdhara Indian Dance theatre(NIDT) NIDT is a well-established contemporary dance company who has toured India and globally. All dancers have a strong western dance technique, and this is then combined with indigenous tools like yoga, ancient Indian movement, meditations, and Indian classical and folk dance, to create a unique blend that just ‘is’. A movement style that is neither eastern nor western in nature, but completely universal. Satyajith Dhananjan an accomplished dancer gets his talents from his parents the legendary Padma Bhushan Shanta & V.P Dhananjayan. He received several awards & accolades and has toured extensively. A well sought after Automotive Photographer Satyajith aspires insists on questioning the structure and reinventing the idiom to bring about refreshingly new interpretations. He will present GANDHI, an introspective work using the Bharathanatyam language and framework to delve into the concept of Gandhi.